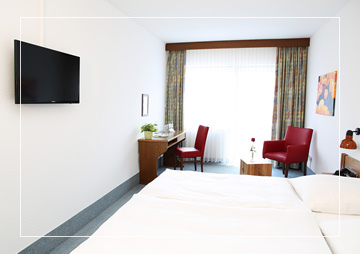 We want you to feel at home at out Flair Hotel Dobrachtal. In short, we want you to feel comfortable here. That’s why each of our 56 rooms (27 double rooms and 29 single rooms, with a total of 85 beds) are individually furnished and we offer you friendly service for every aspect of your stay with us. Our “Classic” rooms are equipped with a bathroom, wifi, flat-screen TV and telephone. Some of them have a balcony. Our “Comfort” rooms are equipped with a simple bathroom, flat-screen TV, wifi and telephone. 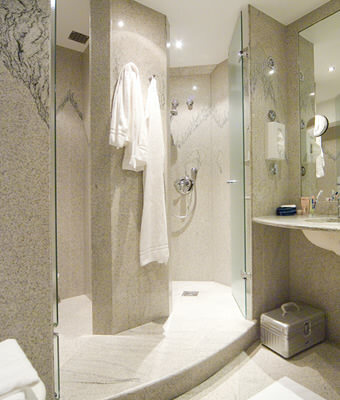 Some of the rooms have a balcony, newly-designed bathrooms or marble baths. Our “Premium” rooms have an inviting atmosphere, a balcony, marble bath, refrigerator, wifi, flat-screen TV and telephone. In addition, our “Economy” rooms offer affordable overnight accommodation and include TV, wifi and telephone. 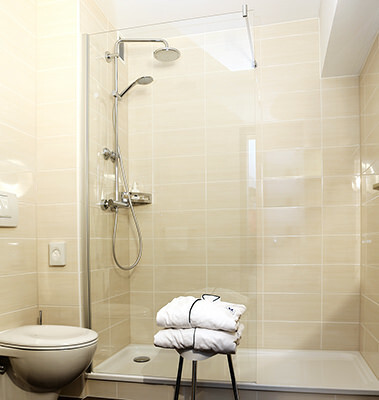 Unlike our Classic rooms, the Economy rooms are somewhat smaller and have a shower cubicle instead of a bath. 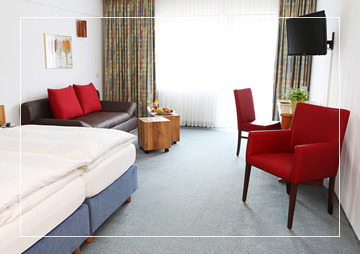 Use your stay at the Flair Hotel Dobrachtal to unplug from the stresses of daily life. Relax with a visit to our sauna or do a few laps of the pool, which is free for you to use during your stay. Our indoor swimming area has an impressive size of 4 x 12 metres and the water quality is outstanding. All listed prices are per room, per night and include VAT (sales tax). Breakfast is also included in the room price.